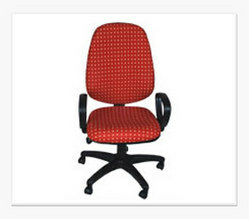 We have a wide range of Office Chairs most suitable for the workstation concept of Offices today. 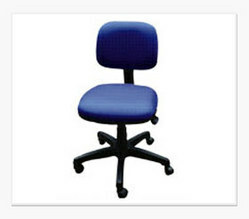 All 'Endura' office Chairs are perfectly designed to encourage a healthy, comfortable and productive work environment. All our revolving chairs come with a hydraulic gas lift mechanism as a standard fitting for a one touch adjustment of seat height, enabling you to keep your feet comfortably placed on the floor. 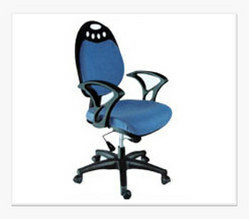 The tilting mechanism, base and wheels used are of good quality and are complaint free. 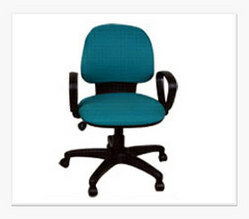 The chairs are available in various models and designs to suit your budget. 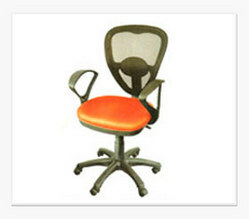 We specialize in offering Low Back Office Staff Chair that meets the variegated requirements of our customers. Economical and sleek Computer/Staff Chair that occupies minimum space. Specifications: Low Back Without Arms PU Foam 24" Nylon Base Fix-Back Mechanism Gas-Lift Fabric Tapestry Seat size-16"x16" Back size- 16"x12"